M2 Connectivity | CCIE or Null! Being a network engineer one of the things that I really wondered about in the UCS B Series was how exactly do those server blades talk the IOM, now from the IOM to the FI’s its relatively simple you’ve got physical cables. However within the UCS B-Series chassis there are no cable per-say within the chassis however the blades are connected by an 802.3kr Backplane Ethernet. Also determines the amount of throughput per fabric. 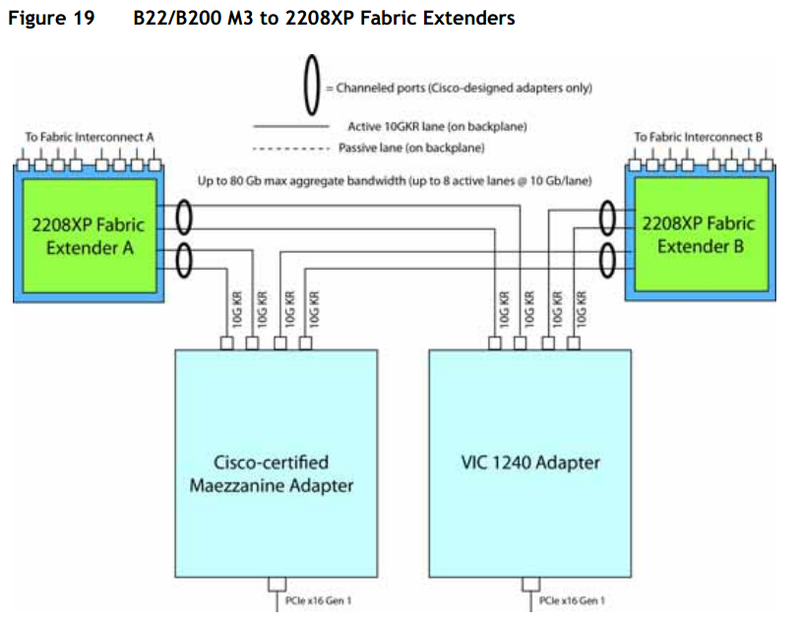 I was able to get this info from Cisco.com, and this page has goes into detail regarding many of the different types of connectivity. It is definitely a good reference for planning out a UCS-B Series deployment. Granted this is only in regards to network connectivity and doesn’t talk about the requirements of the actual compute hardware itself. P.S. I’ve been updating my CCIE: Data Center Study Link Page hope your still checking out!